Just like any other pet, guinea pigs need love, plenty of attention, and of course toys to keep them entertained. The following list of toys for pigs will ensure all of your precious guinea pigs are occupied for hours on end while expelling plenty of energy and keeping in shape. The best part is, most of these toys for pigs are fairly cheap and won’t leave you with an empty wallet! Obviously ping pong balls are incredibly cheap. In fact, some dollar/99 cent stores sell ping pong balls (which means you can spoil your little pet with several ping pong balls instead of just a single toy!). Guinea pigs will love pushing the ping pong balls around their cage and might even try to pick them, chase them, push them up against the side of their cage- the possibilities are practically endless. A super simple toy that offers plenty of fun for active guinea pigs! You probably didn’t know how full of himself your guinea pig was; but now you know. He will seriously love looking at himself in the mirror, no matter what he’s doing. Whether he’s strutting past, playing with a toy, or eating, your guinea pig will run to the mirror watching his every step. Whether it’s because he adores his own cute face or just thinks it’s awesome to watch himself do daily activities, it’s a simple and cheap toy guinea pigs seem to really enjoy. Wooden blocks are one of the most popular toys for pigs on the market for several reasons. The biggest reason is that guinea pigs can spend hours on end stacking, pushing, and playing. Another great benefit of purchasing wooden blocks is they are OK for little chewers to grub on. 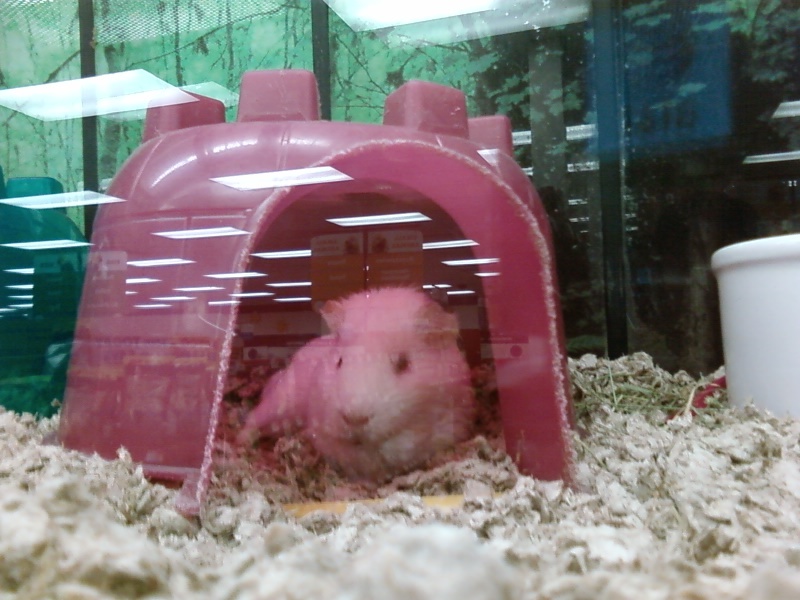 Just buy children or pet-safe wooden blocks and let your guinea go crazy. You won’t have to worry about any toxic materials entering his tiny mouth, and you also won’t have to worry about the little guy getting bored. You can find these blocks at Target or Amazon. If you’re not around to snuggle, your little guinea will rush over to his new stuffed toy in search of cuddles and loving. Guinea pigs seem to have a thing for smelling and snuggling with stuffed toys of all varieties, which means you can get creative with your choices. Go with a brightly colored ball or give your guinea an adorable miniature brown bear. 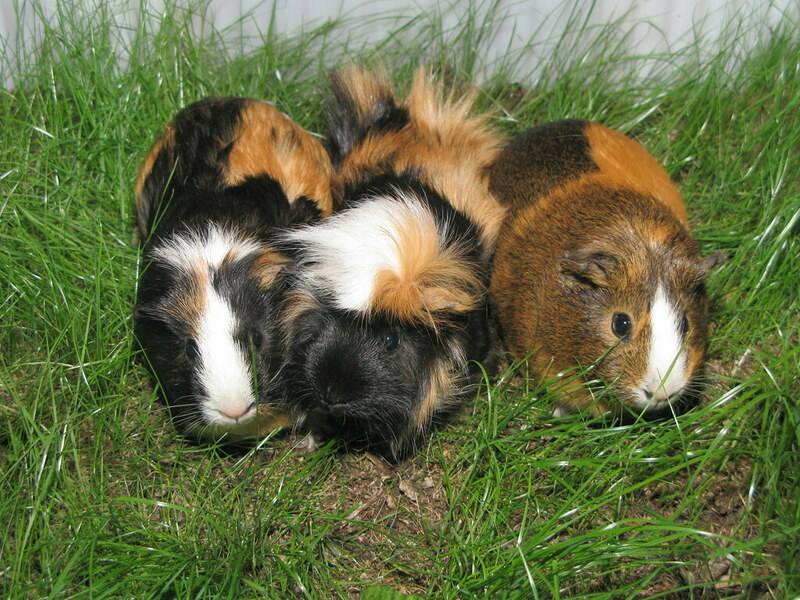 Just keep an eye on your guinea pig if he likes to chew- you may end up with a disassembled toy! Whether you create a tunnel of your own using materials at home (toilet paper rolls, cardboard boxes, etc) or find a pre-made tunnel in stores, your guinea pig is sure to love it. Guinea pigs absolutely love crawling in and out of tunnels, and he’ll get a kick out of it every time. Not to mention he’ll be burning off tons of energy! You can find tunnels on Amazon and use Amazon promotional code 2013 to save on your purchase. Author Bio: Zhuang Ping is an avid blogger featured on several online publications. While her first love is for fashion, she also has a love for pets and couponing. She recommends PromoCode4Share for savings on all your favorite guinea pig toys.